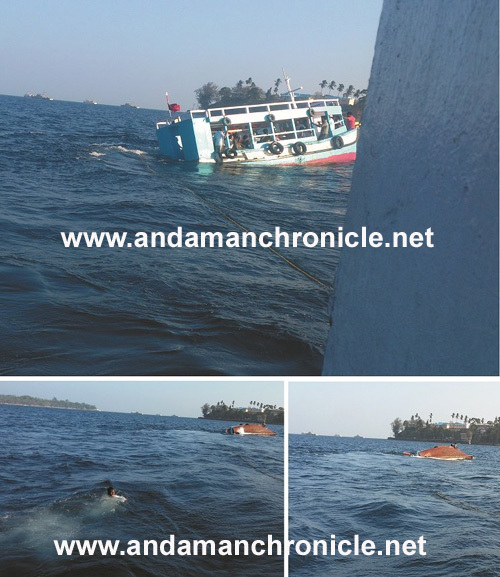 Port Blair, Jan 27: On 26/01/2014, at about 1550 hrs, information was received at the Police Control Room that a private tourist boat MV Aqua Marine carrying 48 tourists and two crew members has capsized in mid-sea in front of the Fisheries Training Center, Dignabad. This information was instantly relayed to the Police Marine Force (PMF), Coast Guard and Joint Operation Command (JOC). A Search and Rescue Operation was immediately launched by these agencies. A police boat MV Sher Ali was the first to reach the spot from Chatham Jetty. Two other police boats MV TRAK and MV Riflemen joined them shortly. Other agencies including Coast Guard and Navy also joined the Search and Rescue Operations. 50 persons were rescued/recovered from the mid-sea and they were rushed to GB Pant Hospital by PCR Vans and Ambulances. A few public persons also helped in these efforts. 21 were declared brought dead at the GB Pant Hospital, Port Blair, which include 08 males, 12 females and 01 female child. Fifteen persons were admitted in the hospital, all of them have been discharged. 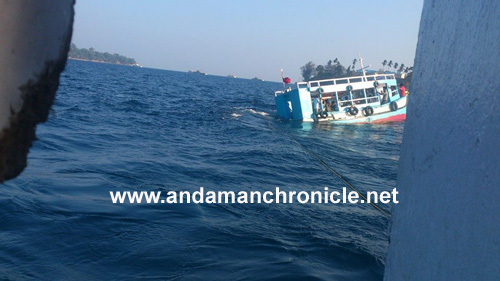 In all, 26 tourists alongwith two crew members were rescued in this operation. One person, V. Suresh (35 yrs), r/o Kanchipuram, Tamil Nadu is still missing. Search and Rescue operations are still continuing to locate him. The local police has registered a case at PS Aberdeen vide FIR No. 31/2014 dated 26/01/14, u/s 304/34 IPC. The case has now been transferred to PS Central Crime Station (CID) for further investigation. During investigation, three accused persons (Boat Manager and crew members) have been arrested for their culpability in this criminal case. 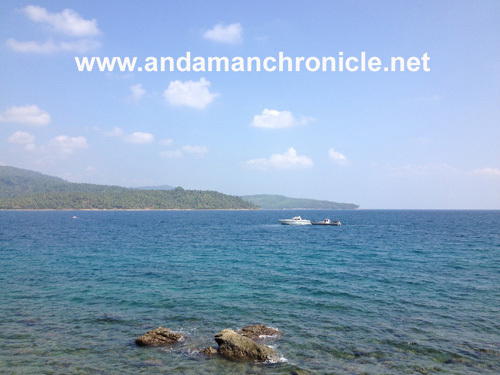 They will be produced in the Hon’ble Court of CJM, Port Blair on Tuesday. The Post-Mortem Examination was conducted in the morning by a team of doctors at the GB Pant Hospital. All the 21 persons have been identified and their bodies were handed over by the Police to their relatives and known persons. The 26 tourists, who survived this tragedy, have left the islands for their respective destinations. The police was hugely cooperated by the PBMC officials and public persons during this exercise. Detailed investigations are presently on as to ascertain the passenger capacity of the vessel, mandatory safety measures like life saving vests etc, communication equipments, sea-worthiness certificate of the vessel etc.